MagicSoft CG is a broadcast application used to easily create, display and control a variety of different projects including Lower-Thirds, Tickers, Logos, Crawls, Clock and Rolls - essentially everything you need in your day to day operations. 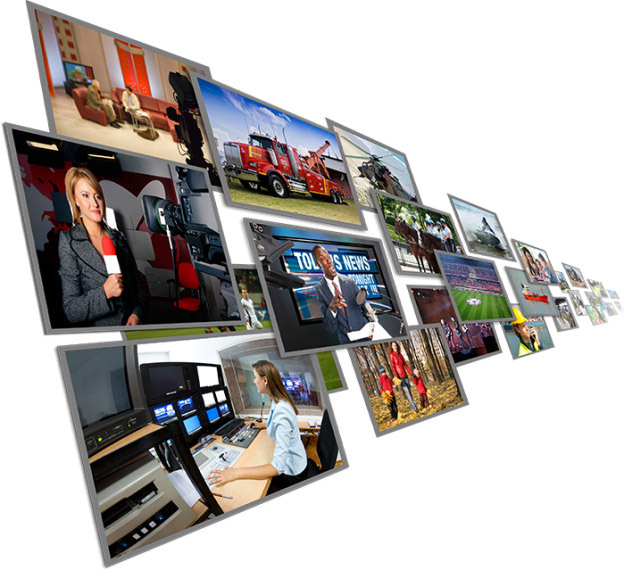 Magicsoft Playout is a broadcast application built upon a client-server architecture that provides noticeable stability and usability advantages. It allows optimum CPU balancing using today's multi-core systems. MagicSoft Streamer is an application for live IP streaming designed for distribution and contribution that fulfills the demands of professional IP broadcasting. It supports up to 4 video inputs using Decklink, Intensity, AJA or Corvid cards. The supported compression are MPEG2 and H264 and the IP output can be UDP, RTP or RTMP (for Web distribution by using Wowza, YouTube, FaceBook, Twitch etc). The carousel lightbox can load and play videos from youtube or vimeo easily. This carousel is using the GPU (hardware acceleration).